The New Year is coming and it’s time to start setting your resolutions. I've set so many goals that haven't even made it past the first week, but this year I've decided to turn over a new leaf! I've done a little research to help me actually achieve my goals and I thought I'd share what I found out with you. With a little bit of planning and determination you’ll be able to accomplish all your goals for 2018! Keep reading for some goal setting advice and tips. 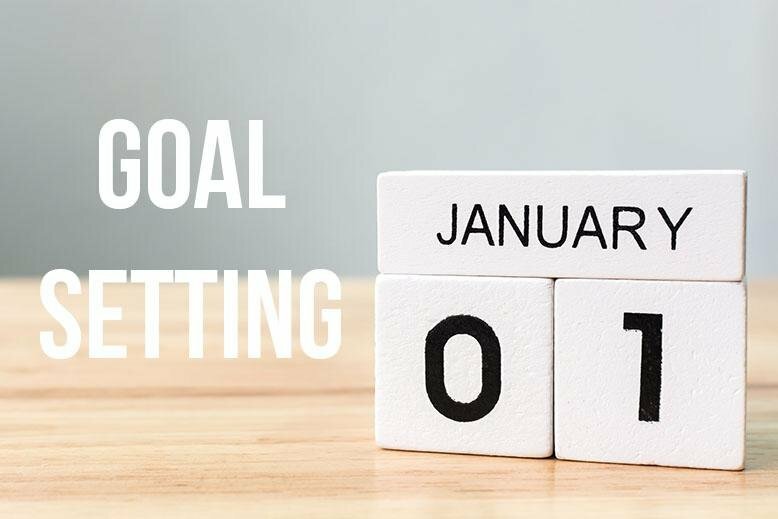 Before you pick your goals to work on, read over your list and make sure that each of your resolutions is something you can actually accomplish. If you have an unrealistic weight goal or decide to earn a money amount that isn’t possible in your current job, you’ll end up discouraged and give up on things you could actually achieve. Once you’ve picked the goal you are going to focus on, start by coming up with a plan of how you will be able to accomplish it. Write up a training schedule if you want to run a marathon or buy the art supplies if you’ve decided to learn how to paint. If you’ve done your research and have the things you need to make it happen, you won’t have any excuse for not working towards that goal. Think through your goal and anticipate any problems that might come up. You’ll be able to come up with solutions for different situations that may arise before it even happens. That way you won’t be derailed from working towards your goal! Pick the date you’re going to start working towards your goal. It doesn’t have to be January 1 - if things are still crazy from the holidays you’re setting yourself up to fail. You may want to wait for things to calm down a little before actually starting on your goal. Make sure you have written your start date in your calendar though! If you haven’t, you might end up putting it off until January 1 of next year! If you start something and fail, don’t be discouraged. That’s life and it’s all part of the process of bettering yourself. Learn from the situation and resolve to do better next time. No matter what happens, keeping working towards your goal. Figure out a way to reward yourself for your hard work. You may want to include small rewards throughout the journey of achieving your goals with a bigger reward at the end. Whatever you need to do in order to motivate yourself! Keep your rewards in line with your goals, however. A giant cake at the end of a weight loss goal might not help you feel as accomplished as you should. What other tips do you have for goal setting? What are some of your New Year resolutions?